Don't break a nail while you work hard and look good! Cut off jeans, cropped tops, cute matching helmets and goggles turn the work site into a runway for this daring doll and her crew of fashionable friends. A girl this fast has got to be tough. Ripped jeans, skull Ts, tribal tats, and a bad attitude coordinate perfectly with her custom colored chopper. Get revved up on her motor psycho madness steeze and roll out in style! Peasant tops, plaid, ripped jeans and animal print everything. Scruff your hair and glam your make up. Its time to live the bohemian lifestyle complete with an awesome outfit to match! Melody marches, dances, and dreams to the beat of her own drummer. Lost in her own world of music and merriment she styles herself to the beat and the bands floating through her chic and stylish headphones! Water is her world and fashion is her passion. 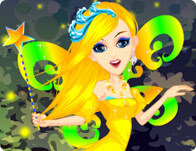 Colorful wings, cute wands and fantasy crowns adore this sea faring fairy. 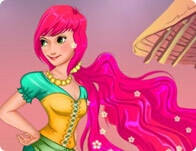 Choose from an assortment of flowing gowns, cute boots and wings to make her look great. Rev up and head off into fashion as fast and as fun as you can! She moves fast and she looks good doing it. 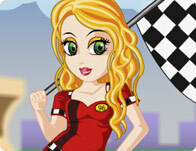 Co-ordinate the checkered flag to one of her outfits and style her right for a day at the races! Gossip, drama and talking about boys doesn't end when the work day starts! Help this fashionably fab babe keep connected and looking good.